Every once in a while, people get scared that they are going to lose the people that are close to them. We are not talking about fatalities, but rather getting out of touch with your friends and destroying the relationship. Moving mistakes are common in people who have no moving experience. However, there are ways to avoid those mistakes and move your belongings in a safe and quick way. Check out the following list of mistakes people make when moving. 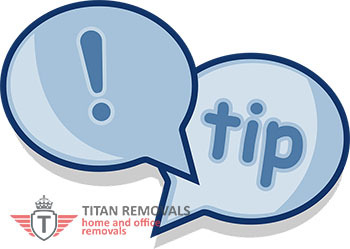 You should plan every step of your removal process about 3 months before your removal date. Make a schedule, create a budget plan, hire movers, take care of paper work, etc. proper planning is the key to having a successful removal and a positive moving experience. If you think you are not up to this task, hire professional moving company, like Titan Removals, for your removal in Redbridge for example, that will take care of planning and other tasks concerning removal. Sometimes people who move have no time to research moving companies and get several quotes, or on-site estimates. 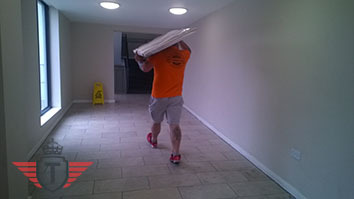 For a successful removal, you need to get quotes from multiple moving companies. You have so many choices but competition is fierce and if you do proper research you will find a company that will meet your requirements at affordable rate. Take your time and check testimonials, references and customer reviews, removal history, quotes, ask your friends for recommendation, check if they are licenced and DOT registered, etc. Yes, we all want to save money when hiring a moving company, but hiring the company that is the cheapest is not the right solution. This is the easiest way to get scammed. You get your rate, but suddenly additional fees and charges start piling up. You end up paying double and they will return your belongings after you pay the bill. Be careful and, as mentioned above, do a thorough research of the moving company and try not to hire the one that offer cheap removals. This is probably the most common moving mistake. Packing requires time and preparations and you cannot pack everything one day before removal. You should start packing two weeks before removal, at least. First you need to figure out how much packing material you will need and how to pack and wrap your belongings, especially fragile items. 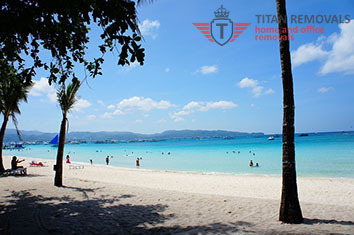 It is recommended that you check tips on packing for removal to get the job done timely and properly. Another common moving mistake people make is deciding to load their valuable and irreplaceable items onto the moving truck instead of keeping them close to themselves. Such items, such as silverware, jewellery, important documents, and other should be in kept safe in your car during removal. This is because the insurance will not cover the cost of such items in case they get lost, damaged or stolen. People who live green are environmentally aware and they are living and working according to the green rules. Their goal is to reduce greenhouse gases, ensure proper waste removal, use biodegradable materials, save energy and resources, etc. 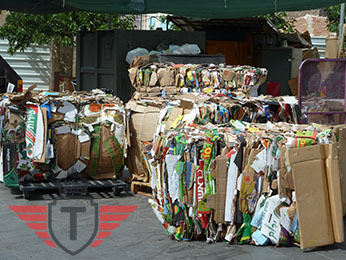 But, when it comes to removal, there are also green ways to get the moving process done, form the beginning to the end. Check the following ideas and tips that will help you stay green during removal. Having less belongings to move means spending less time to move them. This seems obvious. However, this also means that you will spend less gas to do so. Therefore, before removal you should get rid of the things you don’t need or use anymore. Why would you bother to pack and move items you are not going to use anyway, which will eventually end up in the trash bin or elsewhere? So, you can sell some of the stuff, or donate to schools or shelters. you and your moving company on track. Also, make sure that everything on your list is completed properly and timely. What is the type of town for you? Noisy people even as they get older are still pretty loud and lively. This does not necessarily mean that they will live in a large city but more often than not, this is the case. Move to a place such as Munich or Berlin if you are serious about your career and want to be somewhere densely populated. Another option is to go to Rio if you are fluent in Portuguese and love loudness. 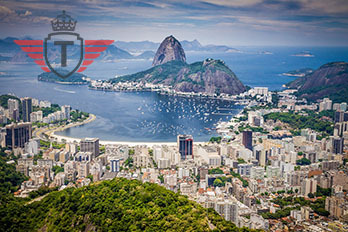 It is a great city to spend money and have fun but you should also watch out because the crime rates in Rio are alarming. It can be a dangerous place to have a house. If you look east then Tokyo is a buzzing place with many professional services and incredible business opportunities. Again the culture is different but you have the chance of making a name for yourself if you work with tenacity and respect. Human migration is one of the oldest civilizational processes, man has been moving from one place to another since the dawn of time. Reasons for migration vary greatly, but the overall purpose of the process is for people to move and settle in a better geographical location. The official so to say definition of human migration is the permanent change of residence of an individual or group. However, migration doesn’t cover moves such as nomadism, migrant labour and tourism which are only temporary or transitory in nature. Migration should not be confused with immigration or emigration, which are two distinctly different processes. Migration is something people have been doing for thousands of years. Throughout the ages history has witnessed a number of so called great migrations, the results of which can still be seen today. London, being the global city that it is, marks not only rapid increase in its population every year, despite the outrageous property and rent prices. 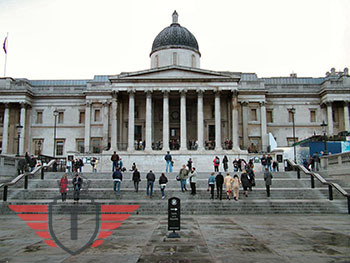 London is also a very prominent tourist destination. The large museums that are located all over the territory of the capital attract a great deal of those visitors, so let’s just take a look at the top five among them, ranked in accordance to the number of people who visit them on an annual basis.